For the most part we view berries as a summer time fruit. But their is one berry that is the king of the fall – the cranberry. I love being able to scoring fresh cranberries at the store this time of year. For the most part I have used them to make cranberry sauce. But this year I am searching out other uses for them. 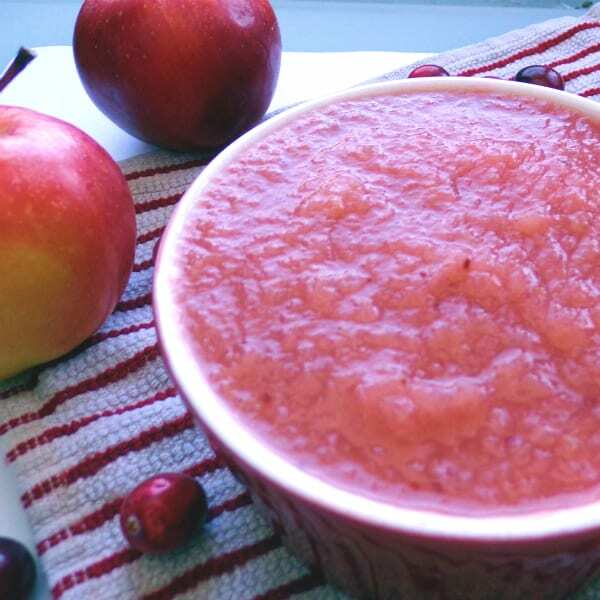 One idea I came upon was combining cranberries with another favorite fall fruit: apples to make another type of sauce. 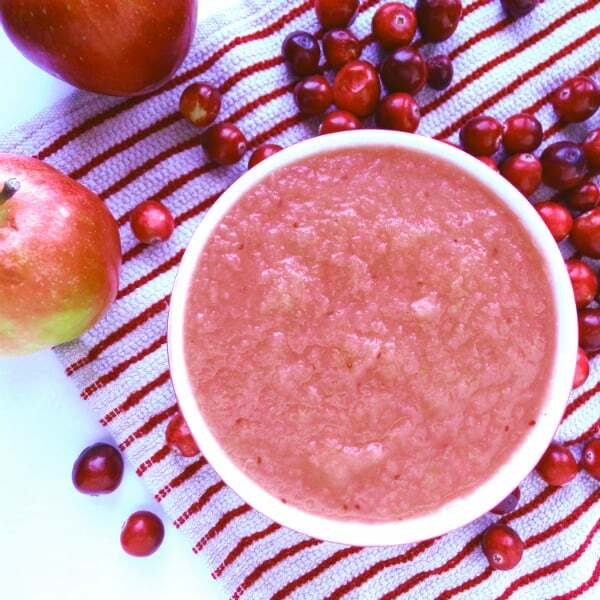 Adding cranberries to applesauce is a great way to boost the flavor of the sauce as well as add the nutrition that comes from cranberries. Also the cranberries give the sauce a rosy color. Below you will find my recipe for making this sauce. It can be made by either the slow cook method in a slow cooker or fast in a pressure cooker. Or even just on the stove top. You got options. When I make my own applesauce I try to get a nice balance of apples. I like to use some sweet apples and some tart apples. I used a wide variety of apples for this sauce, but you can use whatever you like, just try to use a combination of sweet and tart. Here are the apples I used and why. This is just an example. I used some harder to find apples available here in Michigan. I have also made this applesauce with nothing but Fuij apples. Since those apples were sweet I did not have to add any sugar. I think there are more flavorful apple to use that would give the sauce a better apple flavor. Really you can use whatever you have on hand. I often make applesauce with apples that are past their prime, particulary in terms of crispiness. Slice the apples. Keep the skins on them if you have a food mill. This will add color and nutrients to your sauce. If you don't have a food mill, then peel the apples. Dump your apple slices in your cooking vessel along with the cider and cranberries. If you are using a slow cooker, just let your apples cook until they become mush, it may take a few hours. If you are using a pressure cooker, look on your lid and bring to full pressure and then cook for just 1 minute. Process through a food mill if you left the skins on. Then add any additional sugar to taste.